'No more! No more!' your bank account screams. You can now blow €50k on a pair old 18-carat, gold-crusted headphones in support of Assassin’s Creed Origins, should you so desire. Ubisoft are releasing a limited edition, €250 headset in partnership with Focal along with the €50k ‘Utopia’ version which presumably exists just to make the former seem like a bargain. Esteemed French jeweller, Tournaire are behind the pricey version of which there are only 10 in existence. 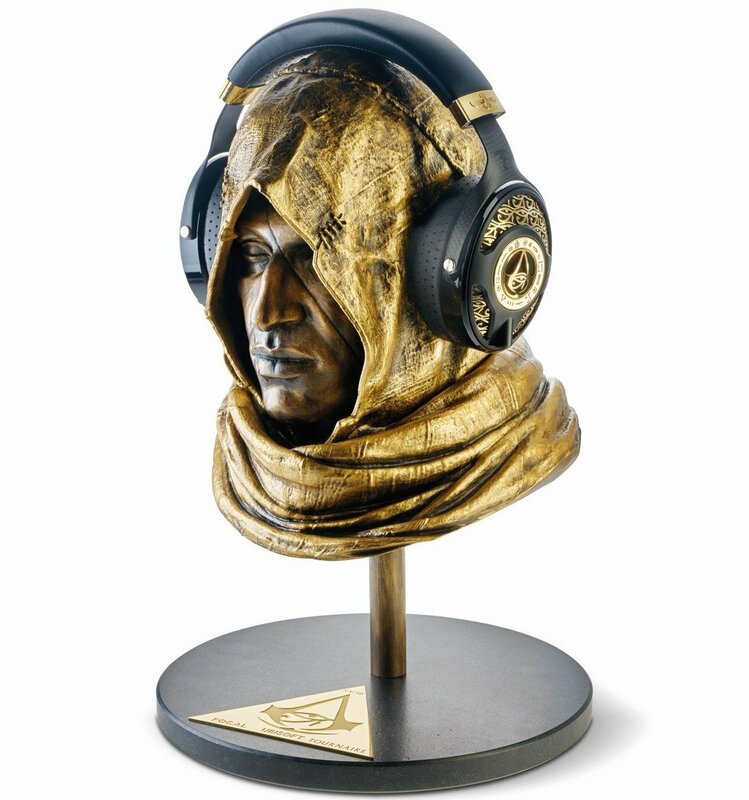 Of course, if you have that kind of money to drop, you’ll no doubt want to purchase the €12,000 bronze assassin head on which to rest your investment, because of course that’s a thing. We’d do a review of whether or not the headset sounds nice, but with such a limited market, there doesn’t seem to be much point.